Dynastinae or rhinoceros beetles are a subfamily of the scarab beetle family (Scarabaeidae). 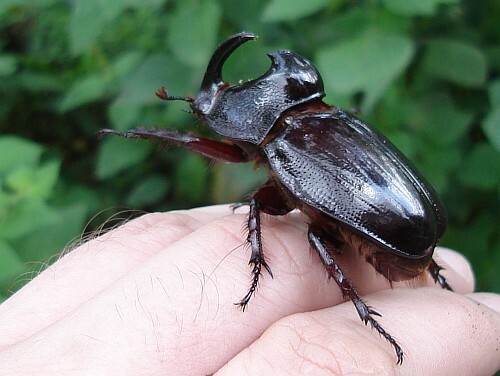 Other common names – some for particular groups of rhinoceros beetles – are for example Hercules beetles, unicorn beetles or horn beetles. 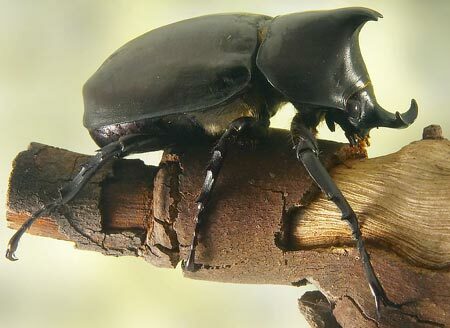 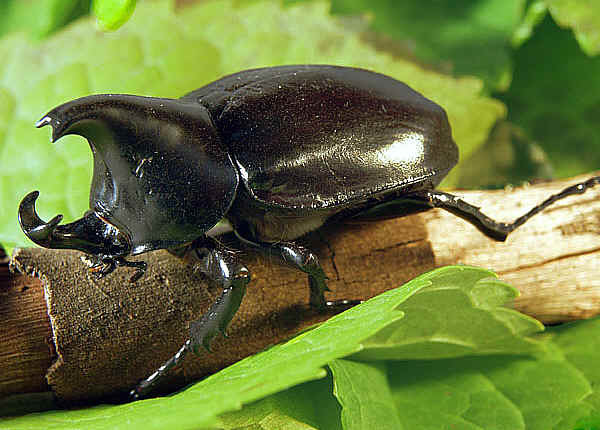 Over 300 species of rhinoceros beetles are known.They are among the largest of beetles, reaching more than 150 mm (6 in) in length, but are completely harmless to humans because they cannot bite or sting. They have been documented to support items up to 100 times their own weight. 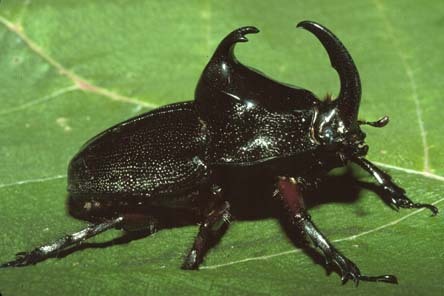 Their common names refer to the characteristic horns borne only by the males of most species in the group.